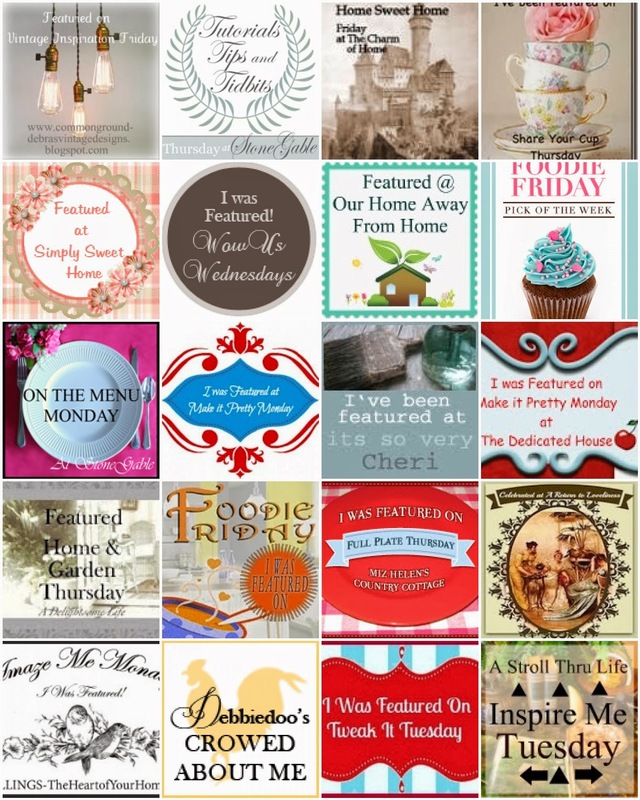 These are some beautiful dishes! Your friend is sooooo sweet. 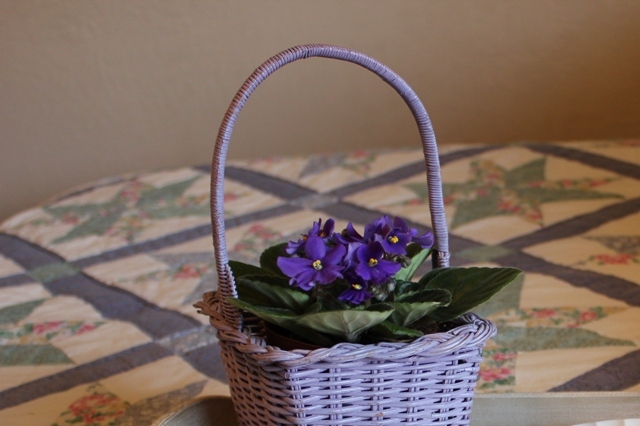 :) I love your basket of violets as well. I had them years ago but somehow my "brown thumbs" killed them. :( I can hardly grow anything, indoor or out! 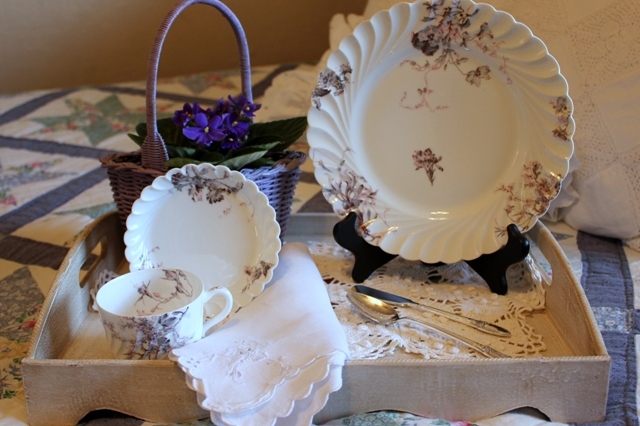 Such pretty china and what a dear friend! You are blessed not only by her gift but by your sweet gift of friendship you share. Just lovely. 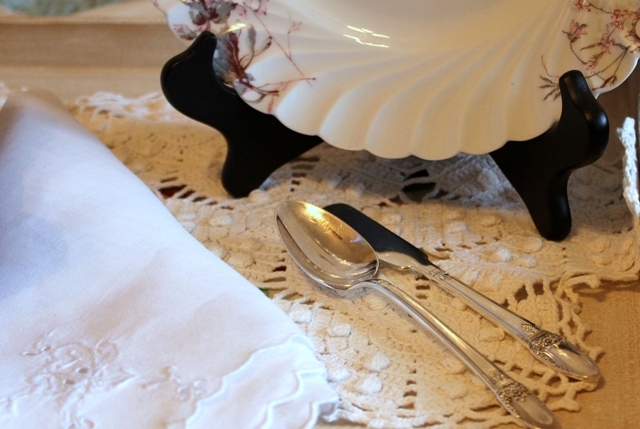 Those dishes are just plain lovely. You have displayed them beautifully. Thank you for sharing. Friends are a true blessing. They will stick by you when others wont. 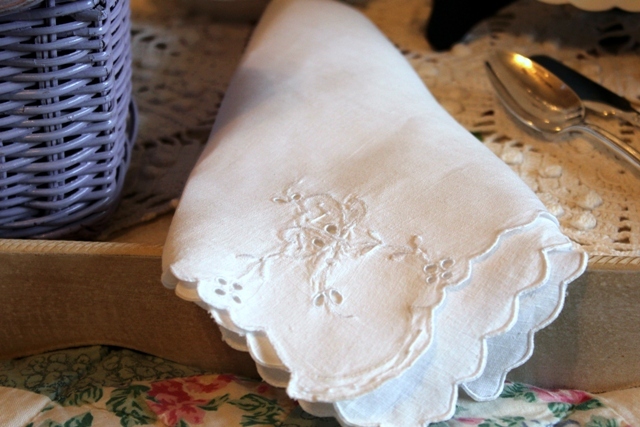 I love these dishes, and it was certainly a nice gesture on your friend's part. Those dishes are just so beauitufl! What a wonderful friend you have! 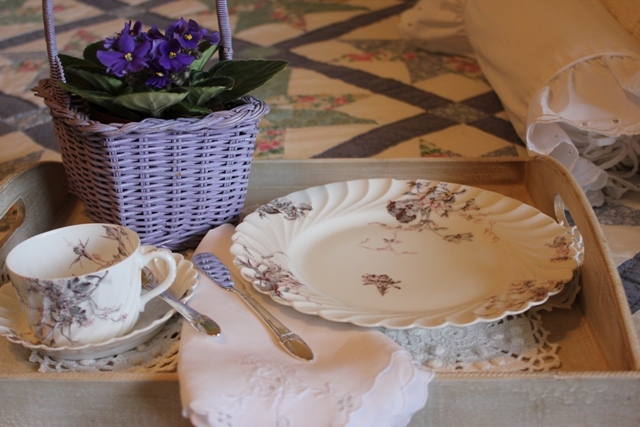 What a charming breakfast tray! 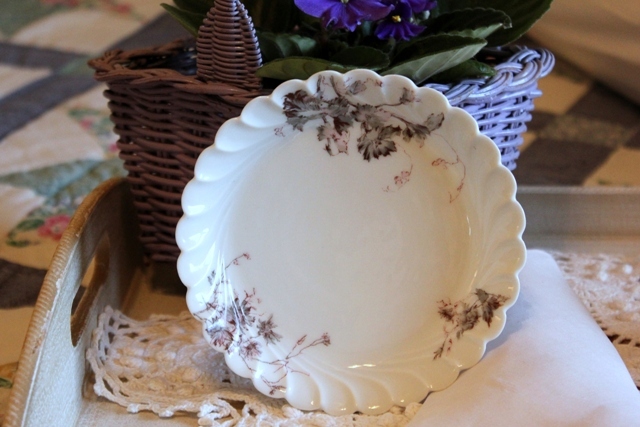 What a special gift you were given...the china is stunning... Hopped over from Treasures and Trinkets party! 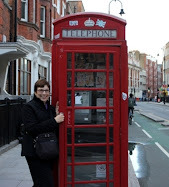 Beautiful -- and what a wonderful friend to have! What a sweet pattern! 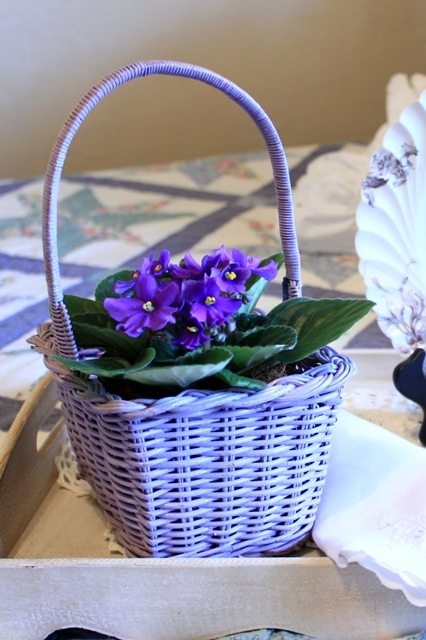 And I love the basket of violets. Wonderful friend to give you something so pretty! 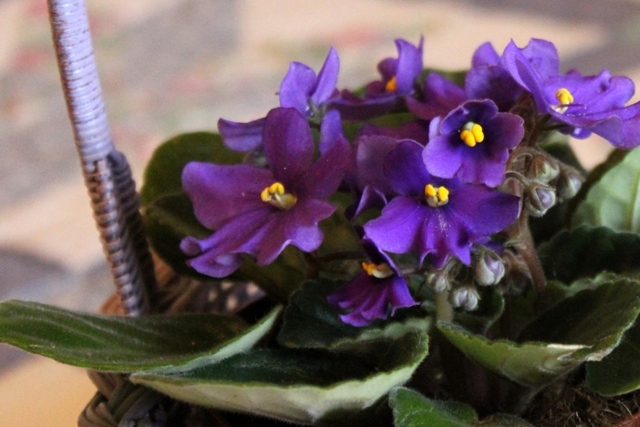 And you've put the perfect flower with it, the African violet brings out the colours! Wow! What a great friend. Those dishes are gorgeous. I have never seen that pattern before. I really like how the plate is scallop shaped too. Soooo pretty! 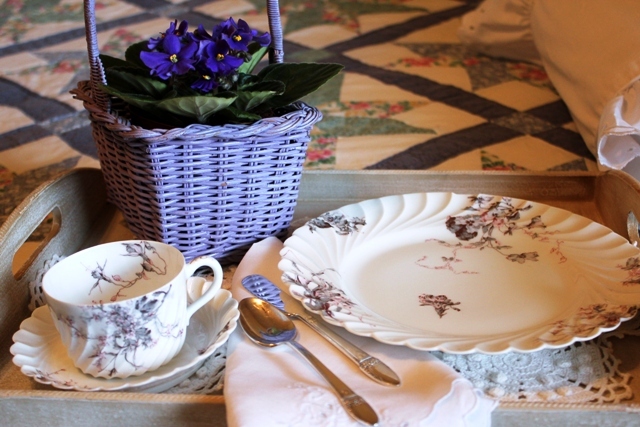 How beautifully you styled that pretty china from your friend! 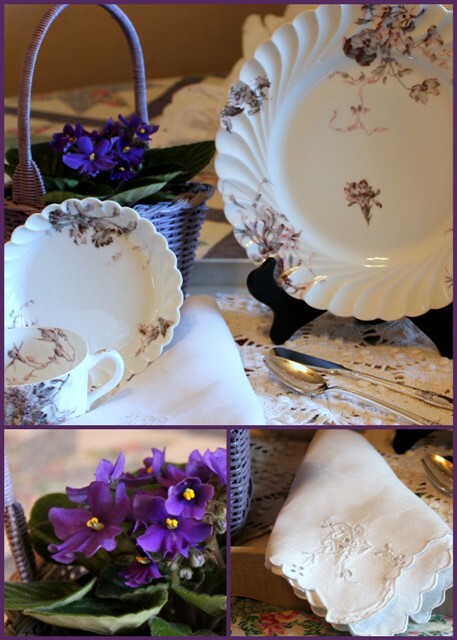 The African violet was the perfect touch! 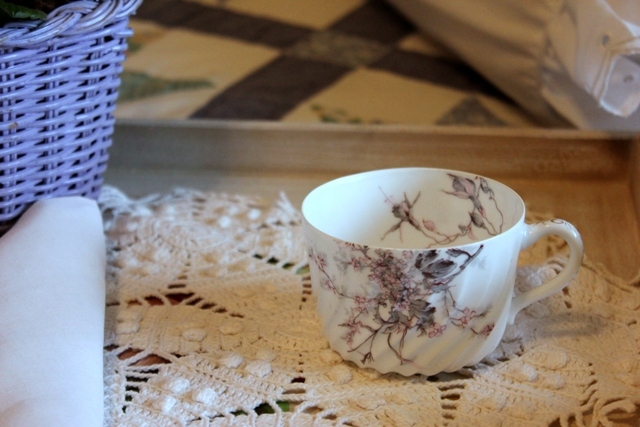 That china is absolutely gorgeous! So unique and elegant. I've noticed a trend this week of folks adding some "spring-y" touches to their vignettes and I think we are all itching for the next season. Your flowers really make me long for warmer days! 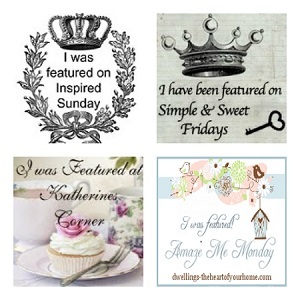 Thanks so much for linking this up to Inspiration Friday this week! the china speaks to me too! beautiful setting and china! love them all! precious gift! I love how delicate the flowers look. Beautiful gift from your friend. 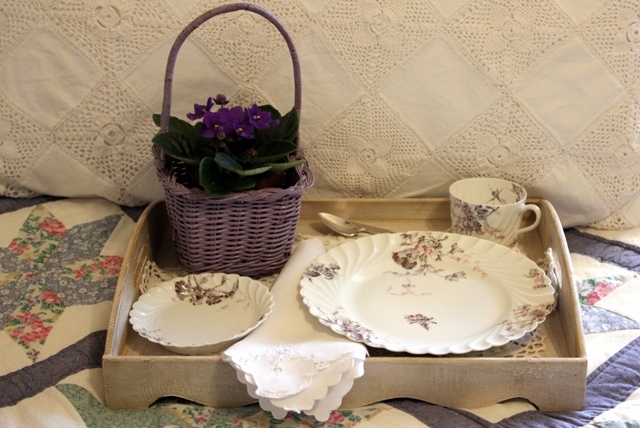 what a lovely tea tray you have set with your Limoges porcelain, just gorgeous. 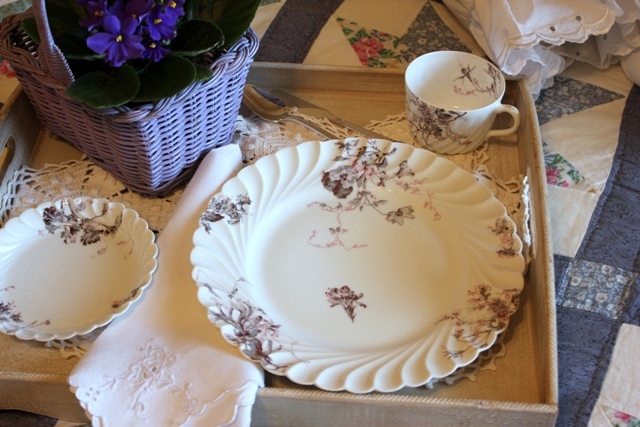 Beautiful tray and dishes. I love working with purples, but they are so hard to find! This is so beautiful. What a thoughtful friend you have. I know you treasure this special gift. I enjoyed it very much, thanks for sharing. How beautiful! So delicate and feminine.